Loyalty represents the quality of being in allegiance with someone or something, a bit like an attachment of duty and honour. How often does loyalty get in our life’s way? At different stages of our life it is necessary to make some revisions, changes that occur in such a way to bring about a healthier and happy way for us remain in our own integrity. Being a loyal person represents a certain amount of obedience, faithfulness and sincerity. That all sounds really good on paper, but how does all of that effect our everyday life, and more importantly how does it effect our Spirit and the true nature of who we are? Comic Books were a novelty when we were growing up. Stories of imaginary people that entertained us. Comic Books are funny magazines with lots of drama and excitement to feed our imagination. Each week a new book came out continuing the story from the previous weeks addition. We couldn’t wait to get our allowance so we could rush out to buy the sequel and dig deeper into the drama and follow along. There might have been one particular character that was your favourite, and if that guy or girl got their heart broken from a breakup in the story, then we were heart broken right along with them. We became connected to places, persons and things in the comic book, they became real to us in a number of different ways. But just like the imaginary characters that captured our hearts back then with their ever changing stories, in real life we to are forever shifting and growing. There comes a time when things are required to change for us. 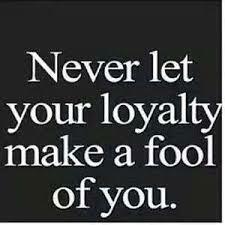 What about loyalty then? How do we begin to move away from being loyal to someone that hasn’t grown in the same direction with us? The relationships we form with people outside of our family are people with whom we share a kinship with. We love those people because we can relate to one other, the similarities in each of our lives is comforting somehow. If the harmony in the allegiance begins to dissolve, then how do we settle with the programming of our Ego? How are we able to move away from our conditioned mind way of thinking and release our sense of loyalty so we and they can move on? Not everyone is meant to stay in our life until the end. If we hang onto people that we have outgrown, then we don’t leave room for new friendships to find their way to us and make an entrance. This is a really good quote, one for all of us to think about, “Don’t allow your loyalty to become slavery, if they aren’t appreciating what you bring to the table, leave them alone”.